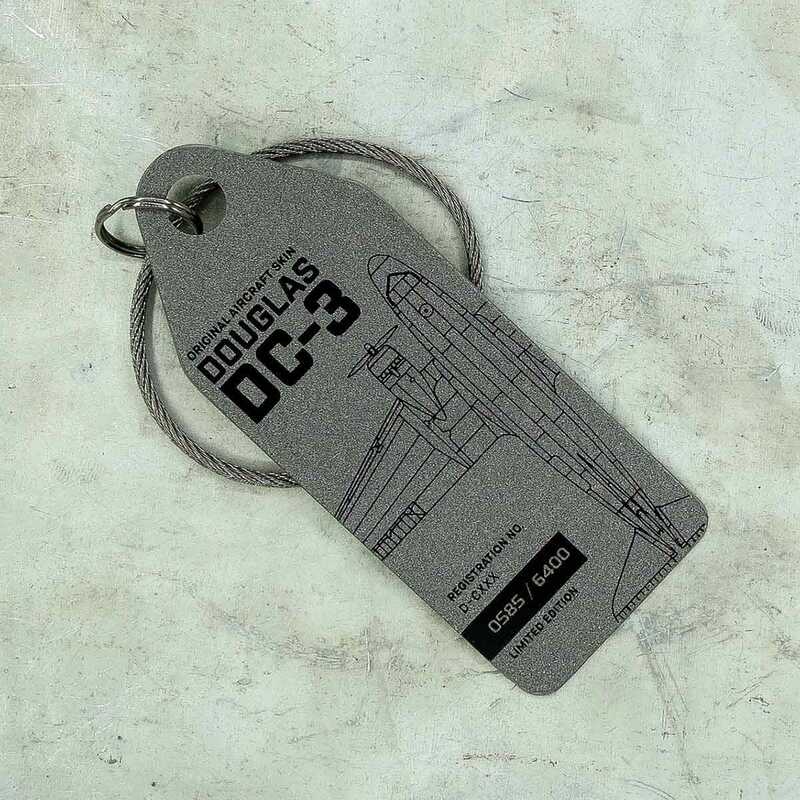 Our limited-edition DC-3 Aviation Tag is crafted from the left wing of the historic C-47B-30-DK – better known as the Candy Bomber. On its mission during the Berlin Airlift in 1948-49, the Candy Bomber ensured the survival of many Berlin citizens. Afterwards it travelled half the world – from France to Indonesia – before returning to Germany, where it made its very last flight together with the historic Ju52 on October 30, 2008 at five to midnight from the world’s longest serving airport, Berlin Tempelhof, thus ending the era of the “mother of all airports”. Please Note: Every tag is unique. 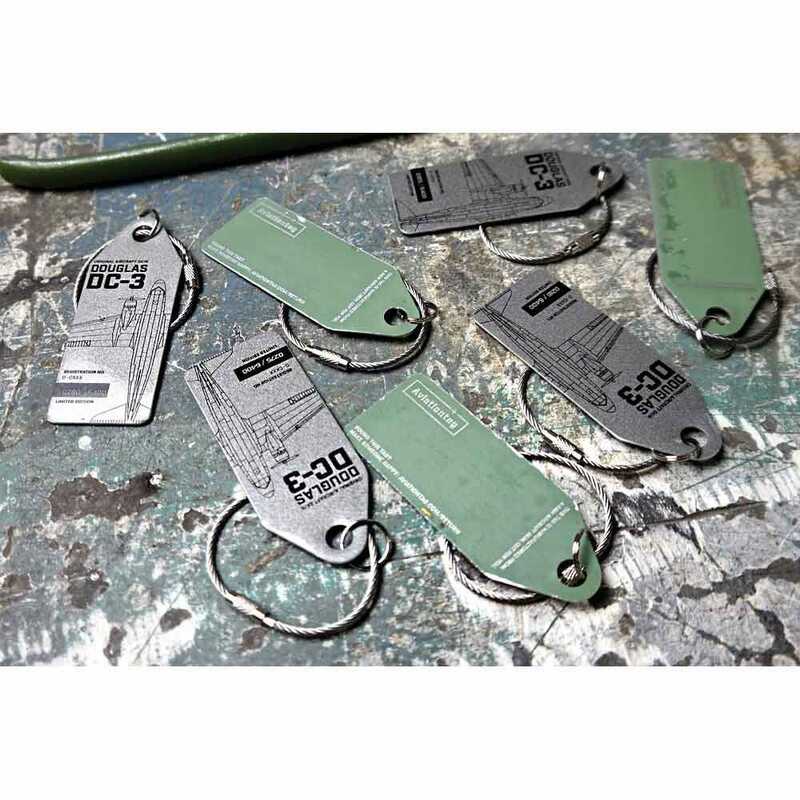 Depending on the plane, tags may vary in terms of haptics, material thickness and color. Small blemishes bear witness to the plane’s long history and are an authentic reminder of its glory days over the clouds.